consist of three main parts: (1) the seed coat, (2) the embryo, and (3) the food storage tissue. The seed coat, or outer skin, protects the embryo, which contains all the parts needed to form a new plant. The embryo also contains one or more cotyledons, or embryo leaves, which absorb food from the food storage tissue. 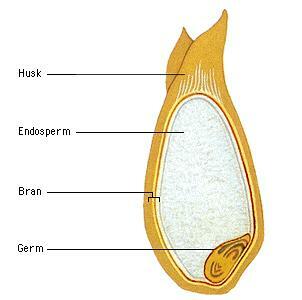 In flowering plants, the food storage tissue is called endosperm. In some plants, such as peas and beans, the embryo absorbs the endosperm, and food is stored in the cotyledons. In nonflowering seed plants, a tissue called the megagametophyte serves as a place to store food. See Seed.